We are very happy to see that the ISSLive native applications, for both Android and iOS (iPhone and iPad), have been publicly released by NASA. ISSLive uses Lightstreamer on all the three channels currently available (HTML, native Android, and native iOS) to stream live data from the International Space Station. 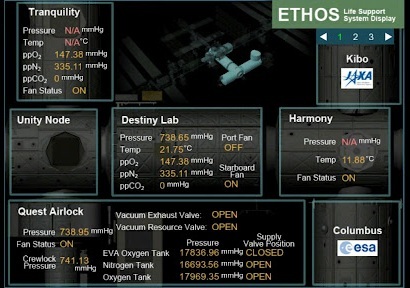 Real-time updates coming from the ISS onboard systems are displayed within visual consoles.